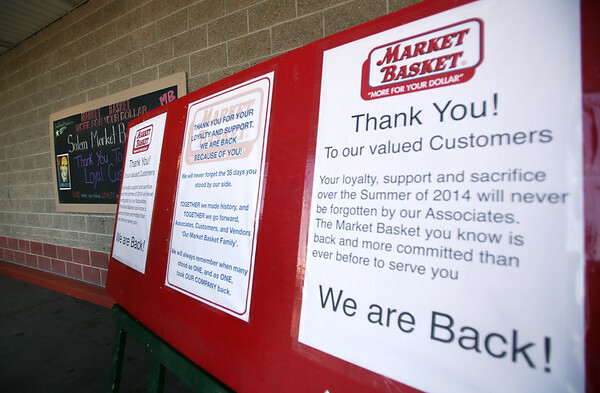 Signs thanking loyal customers for their patience were hung outside the Highland Ave Market Basket in Salem. DAVID LE/Staff photo. 8/28/14.